Jack Harris, President & CEO of JA Georgia, accepts Charles R. Hook award at 2017 JA Global Leadership Conference. Last month JA of Georgia hosted colleagues from around the world for the Global Leadership Conference. It was a phenomenal week filled with inspiration, networking and strategy. The final evening celebrated numerous awards and winners, including the Charles R. Hook award. The award is given annually to the JA USA President whose professionalism and performance best represents the core values and ideals of Junior Achievement. For our organization, no one embodies this more than Jack. For the past 13 years, he has led us through good times and tough ones alike, all while keeping his focus on the bigger picture front and center, and executing it in humblest of ways. Our organization is now at an incredibly important inflection point, with the opportunity to truly transform education, and change the trajectory of students’ lives, due in large part to Jack’s vision and steadfast leadership. His ability to bring together key players in the business communities and school systems to fully embrace and commit to our programs is invaluable. His knowledge of issues the education system is facing, coupled with his true passion to break down those barriers for students, makes him an unending source of inspiration for us. We often wonder (to ourselves and out loud), how does he do it? 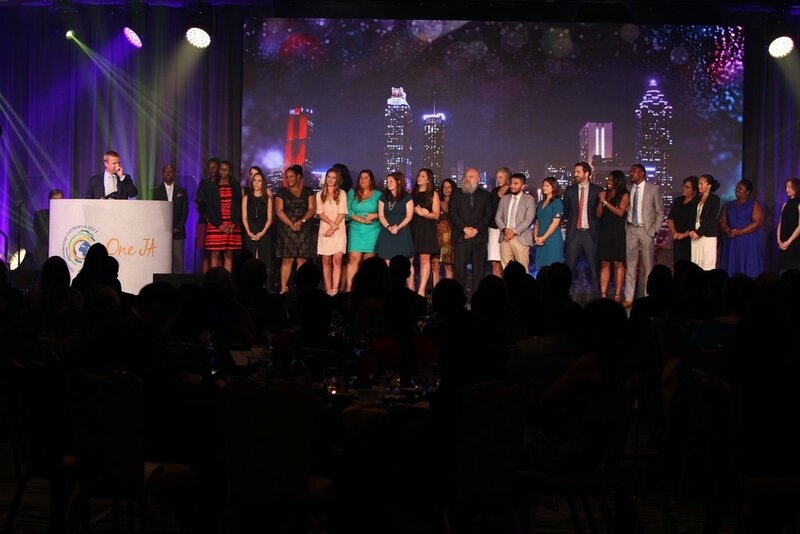 Under his leadership, the team at JA of Georgia has hit many major millstones over the last few years: a highly successful capital campaign, the opening of two JA Discovery Centers, an expanded student impact in terms of reach and depth of experience, and the launch of the innovative JA Academy. Breaking ground on the third Capstone Center, which will result in JA BizTown and JA Finance Park serving nearly one in every three middle school students in Georgia. Opening of a second JA Academy, which is proving to significantly elevate outcomes in high school students' engagement and academic achievements. Preparing for the opening of two additional JA Academies this upcoming school year, and four to five the following. Expanding the number of corporate partners and integration with each, which resulted in a 12% increase in volunteer engagement and revenue reaching $10 million, a 32% increase over the past two years. The summation of these efforts led to outstanding growth and substantial impact on the lives of students throughout Georgia. More than 175,000 students engaged with JA, totaling 2.5 million contact hours, an increase of 50% over the past two years. Focused on serving the greatest need in today's education model, middle school and high school represent the majority of the 2 million + hours, making up 65% of total outreach. Quite a list in such a short time! In true Jack fashion, he asked for our full JA of Georgia team to join him on stage; to accept that momentous honor alongside him. Thankfully, we didn’t break the stage. To Jack: thank you for never settling for the status quo; for pushing our organization, from the brand-new hires, to the people who’ve been by your side from the start, to realizing that we’ve barely scratched the surface of our potential to transform education; for your unending passion and inspiration.